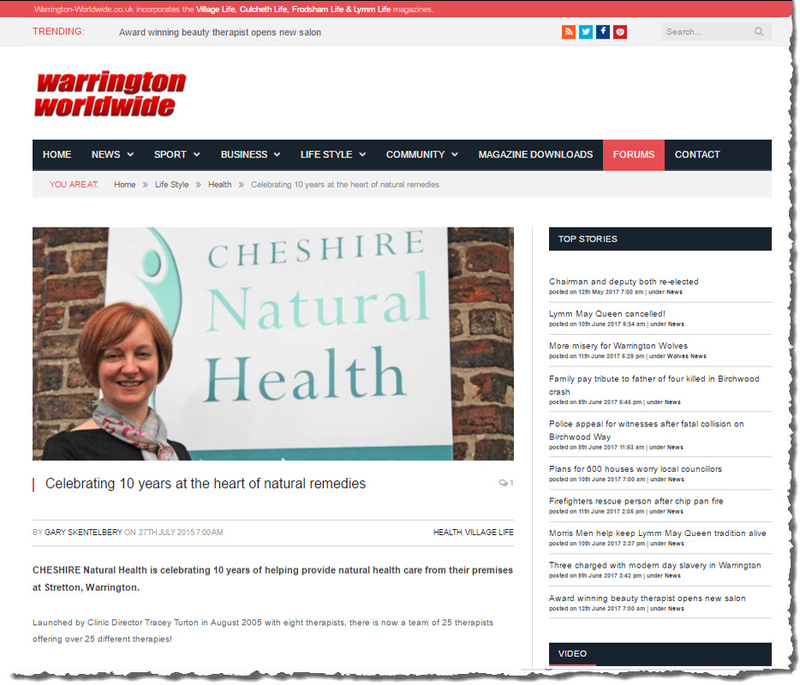 Cheshire Natural Health is opening its doors to children and young people for free drop in sessions following last week’s devastating Manchester bomb attack. 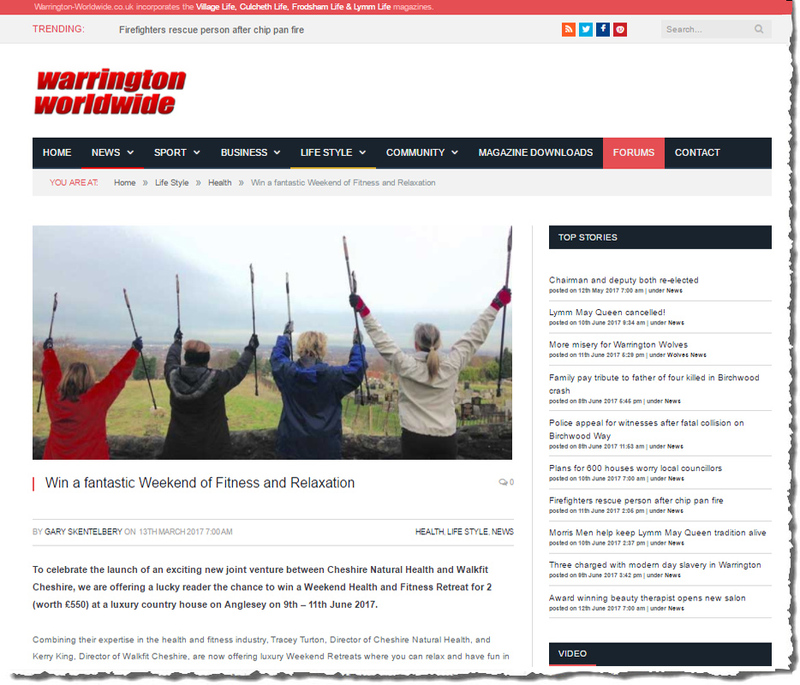 To celebrate the launch of an exciting new joint venture between Cheshire Natural Health and Walkfit Cheshire, we are offering a lucky reader the chance to win a Weekend Health and Fitness Retreat for 2 (worth £550) at a luxury country house on Anglesey on 9th – 11th June 2017. 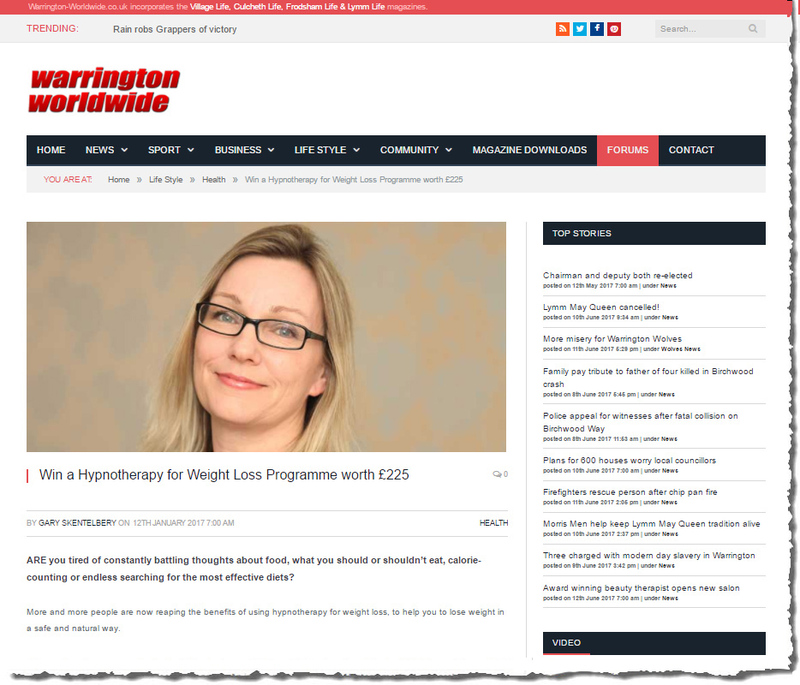 ARE you tired of constantly battling thoughts about food, what you should or shouldn’t eat, calorie-counting or endless searching for the most effective diets? 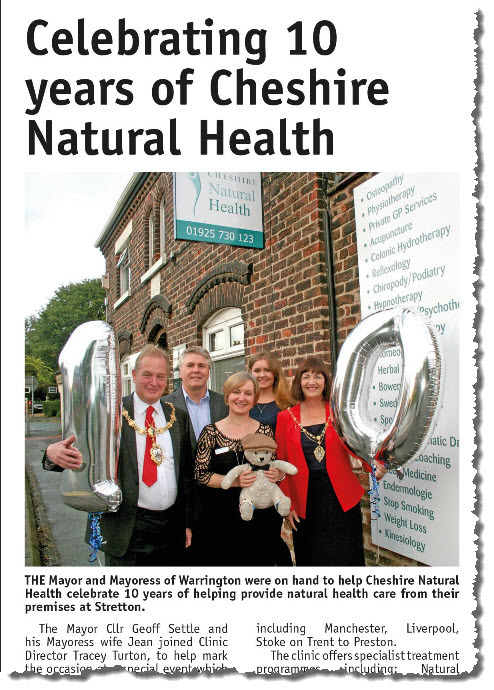 CHESHIRE Natural Health is celebrating 10 years of helping provide natural health care from their premises at Stretton, Warrington. 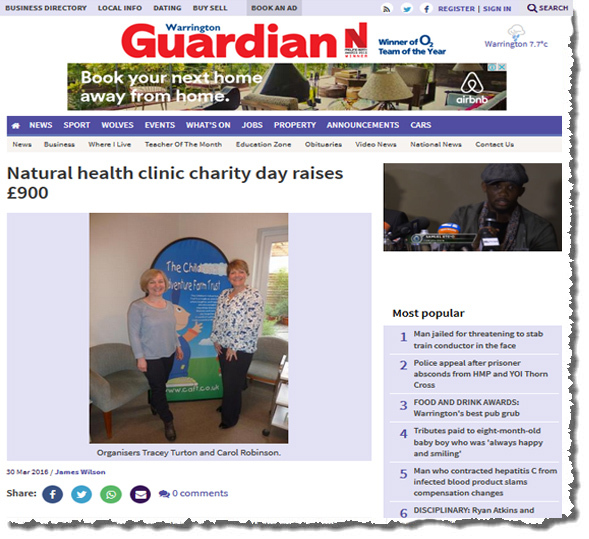 REFLEXOLOGY and massage sessions at a natural health clinic helped to raise £900 for the Children’s Adventure Farm Trust. 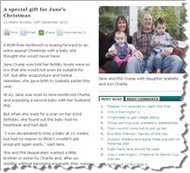 TWO Warrington-based acupuncturists are urging people to try the ancient natural health treatment to mark the start of the Chinese New Year on Monday (February 8). 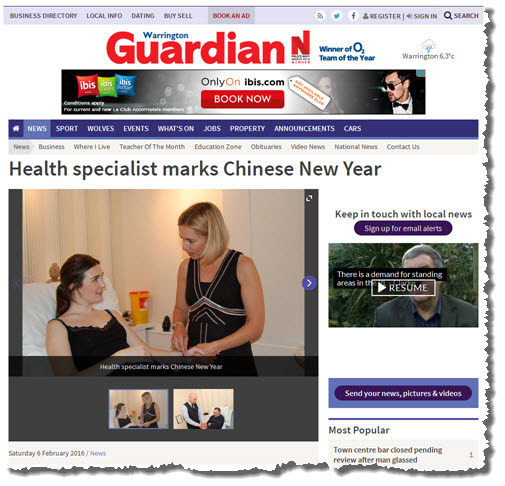 ACUPUNCTURISTS are inviting people to celebrate the Chinese Year of the Monkey, which begins on 8 February, by using acupuncture to help them keep their New Year’s resolutions.